Cravings are strong urges to use a drug and may occur after using kratom for a long period of time. Cravings are especially common when trying to quit kratom. Cravings may involve physical and psychological symptoms that can feel uncomfortable and distressing. Thinking about how good it would feel to use kratom. Remembering the “good times” when you used kratom. Planning how you can get kratom. Cravings may begin at any point after using kratom. Some users experience cravings soon after last using the drug, while others may not have a reaction for weeks or months. Cravings can vary significantly from person to person. The duration of cravings can depend on factors such as how long a person was using kratom and how much was being used. A person may continue to have cravings for weeks, months, or even years. People or places where kratom was used. Seeing objects or paraphernalia associated with kratom. Using other drugs or alcohol. Negative emotional states such as anger, sadness, and worry. Although kratom cravings can cause uncomfortable physical and psychological symptoms, treatments can help reduce the likelihood of a relapse. Motivational interviewing, which seeks to increase motivation for sobriety. Having mixed feelings or low motivation for quitting can lead to a relapse. You can increase your motivation to quit by examining the pros and cons of continuing to use kratom. Contingency management, which provides rewards for being drug-free and participating in treatment. Consider rewarding your own sobriety to help you stay motivated. Physical symptoms of cravings and withdrawal can be particularly troubling. Coping techniques can help manage these symptoms. Deep breathing involves focusing your attention on your breath. Practice by counting to 3 as you inhale, briefly hold the breath, and then exhale for 3 counts. As you continue deep breathing, your heart rate and feelings of panic should begin to subside. Mindfulness helps people be in the present moment. Consider setting a timer and begin by closing your eyes and becoming more aware of your body and its sensations. As your mind begins to drift to thoughts of the past or future, gently bring it back to the present and the sensations in your body. Positive self-talk involves talking to yourself in a way that is rational and healthy. People may tell themselves that cravings are unbearable, permanent, and should not be happening. The truth is that cravings are common and uncomfortable, but they do not last forever. Cravings can be thought of as waves. The peak of the craving will be the most intense, but it will gradually subside. Treatment programs offer professional help for dealing with cravings and addiction. Several different types of treatment exist. Need Help Finding a Kratom Addiction Program? Who Answers? to learn more about recovery options for kratom or other drugs. Detox is a supervised period during which the body is allowed to rid itself of the toxic influence and final traces of the substance. Detox may include monitoring symptoms and prescribing medications to reduce discomfort. It can be performed in an inpatient program, detox center, or occasionally on an outpatient basis if symptoms are not severe. Inpatient treatment programs offer intensive services that may include group, individual, and family therapy, along with temporary housing. Therapy is offered each day with some time in between therapy sessions to rest and focus on recovery. Outpatient treatment programs provide therapy for one or more days per week . Time is available outside of treatment to work, go to school, and adjust to life without drugs. Individual therapy can be provided in an inpatient or outpatient program, or by an outside provider once or more per week. Individual therapy sessions are one-on-one sessions that focus on helping people understand their reasons for using, identifying the consequences of their behaviors, and learning new ways to cope. Group therapy can also be offered as part of an inpatient or outpatient program. Group therapy sessions are facilitated by one or more therapists with a group of other recovering users. Group therapy provides an opportunity to receive support from other people struggling with similar issues. Dual diagnosis treatment programs specialize in helping people with both addiction and mental health issues. These programs are helpful for people struggling with issues such as depression, anxiety, posttraumatic stress disorder, and bipolar disorder. Narcotics Anonymous, a free 12-step support groupthat encourages members to work through the 12 steps, which include accepting powerlessness over drugs, relying on a higher power, and helping others. SMART Recovery, another free support group that provides support and teaches tools for recovery based on the latest scientific research. Reducing withdrawal symptoms may also alleviate cravings and decrease the risk of a relapse, since users may feel less inclined to turn to kratom to minimize the unpleasant withdrawal symptoms. Stick to a healthy diet. 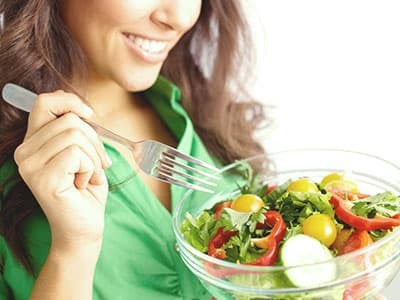 Eat a diet of fruits, vegetables, protein, and complex carbohydrates. Get on an exercise routine. Even 30 minutes a day for a few days a week can help improve mood and reduce cravings. Be sure to speak with your doctor before beginning a new exercise routine. Aim for at least 7 hours of sleep per night. If you have difficulty falling or staying asleep, consider herbal caffeine-free tea and relaxation strategies before bed. Avoid caffeine, sugar, television, and high-energy activities in the evening hours. If sleeping problems persist, talk to your doctor. Make time for relaxation. Whether it is formal meditation, mindfulness, or deep breathing, finding time in the day to focus on the present moment can reduce anxiety, stress, and negativity. Managing cravings naturally requires practice and commitment. Consider practicing these tools before cravings start so that you will be better prepared to manage them. Cravings do not have to lead to relapse. Being aware of the warning signs and developing a prevention plan can reduce the chances that a craving will lead to a relapse. Relapse warning signs differ from person to person and depend on past experiences. Often, the people, places, and things associated with using kratom can trigger a craving. Seeing old friends that you used with. Conflict with family, friends, or co-workers. Avoiding treatment and recovery support groups. Experiencing physical or mental health issues. Being aware of your relapse triggers can help you develop a plan for managing them. Avoiding triggers. In some cases, triggers can be avoided. You may choose to reduce your exposure to people, places, or things that spark urges. Reaching out to sober support. Twelve-step groups such as Narcotics Anonymous encourage members to find a sponsor with a longer length of sobriety who can provide support and guidance through the 12 steps. Sponsors can help members cope with their cravings and provide feedback on actions to take when urges arise. Using healthy coping skills. Some triggers, such as feeling angry or sad, cannot be avoided. Instead, coping skills can serve as a healthy distraction. Keep a list of activities and hobbies handy to refer to when urges come up. Professional help may be necessary to prevent a relapse. If you or a loved one feels overwhelmed by cravings, consider seeking treatment to learn more about how to cope with kratom cravings. For assistance finding a recovery center for kratom cravings, call our helpline at 1-888-319-2606 Who Answers? .
. National Institute on Drug Abuse. (2016). DrugFacts: Kratom.
. Prozialeck, W. C., Jivan, J. K., & Andurkar, S. V. (2012). Pharmacology of Kratom: An emerging botanical agent with stimulant, analgesic and opioid-like effects. The Journal of the American Osteopathic Association, 112(12), 792-799.
. Hassan, Z., Muzaimi, M., Navaratnam, V., Yusoff, N. H., Suhaimi, F. W., Vadivelu, R., … & Jayabalan, N. (2013). From Kratom to mitragynine and its derivatives: Physiological and behavioural effects related to use, abuse, and addiction. Neuroscience & Biobehavioral Reviews, 37(2), 138-151.
. Singh, D., Muller, C. P., & Vicknasingam, B. K. (2014). Kratom (Mitragyna speciosa) dependence, withdrawal symptoms and craving in regular users. Drug and Alcohol Dependence, 139, 132-137.
. National Institute on Alcohol Abuse and Alcoholism. Core Sessions: Session 2: Coping With Cravings and Urges to Drink.
. European Monitoring Centre for Drugs and Drug Addiction (2015). Kratom (Mytragyna Speciosa) Drug Profile.